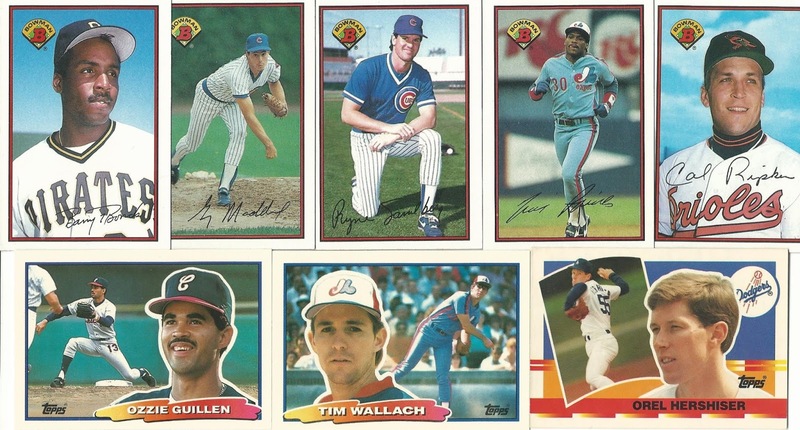 The sixth pick belongs to another Matt, author of the blog Sport Card Collectors. Matt has been eagerly awaiting his turn to pick a prize, and I'm eager to see what he selects. Matt, the floor is yours. 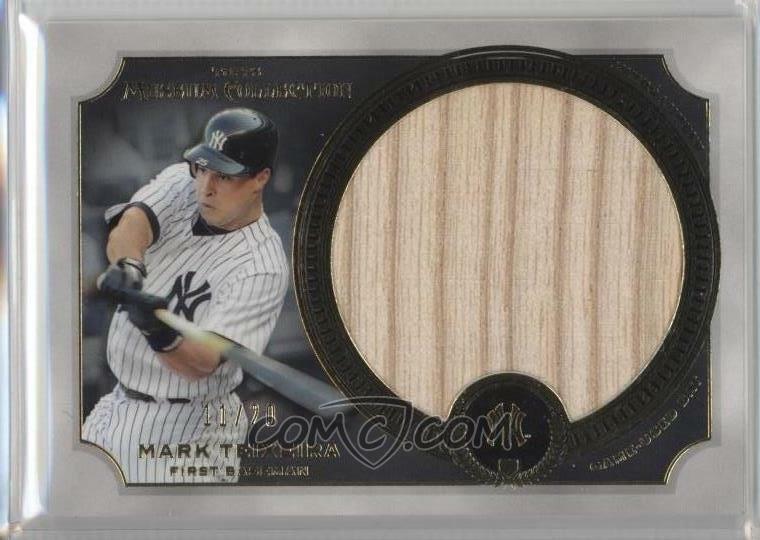 Pick #4 is in, and it's not a baseball card. 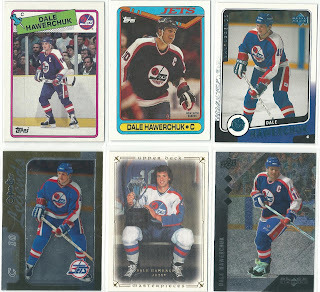 Billy selects the box o' hockey cards. 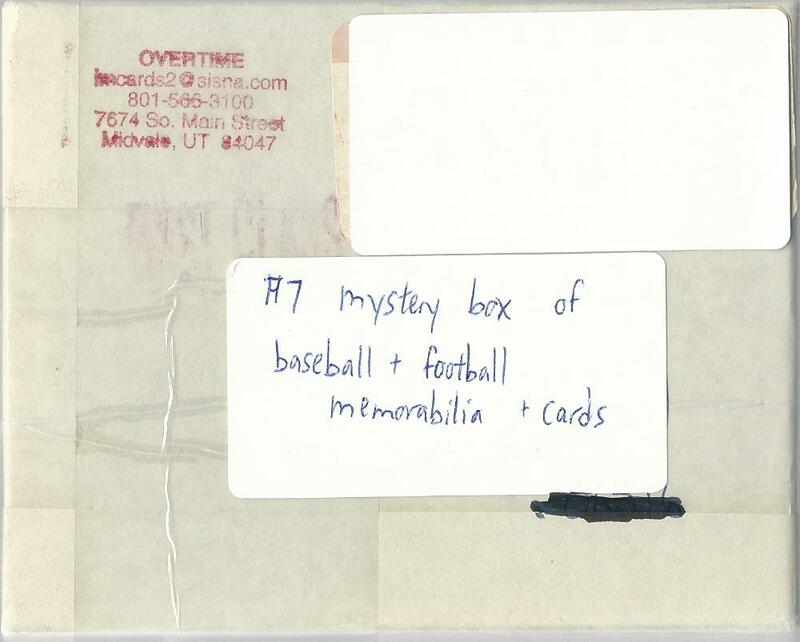 I don't have a picture of the cards he claimed..but it just so happens Billy sent me some cards yesterday. 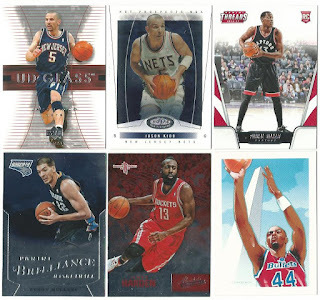 Finally some Jason Kidd Nets cards! 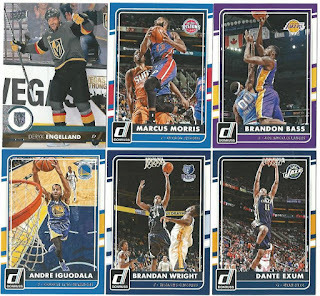 Also a much-needed Raptor RC, a Bobcat for my binder, a nice James Harden for my star box, and a cool Harvey Grant team card with the Washington Monument. 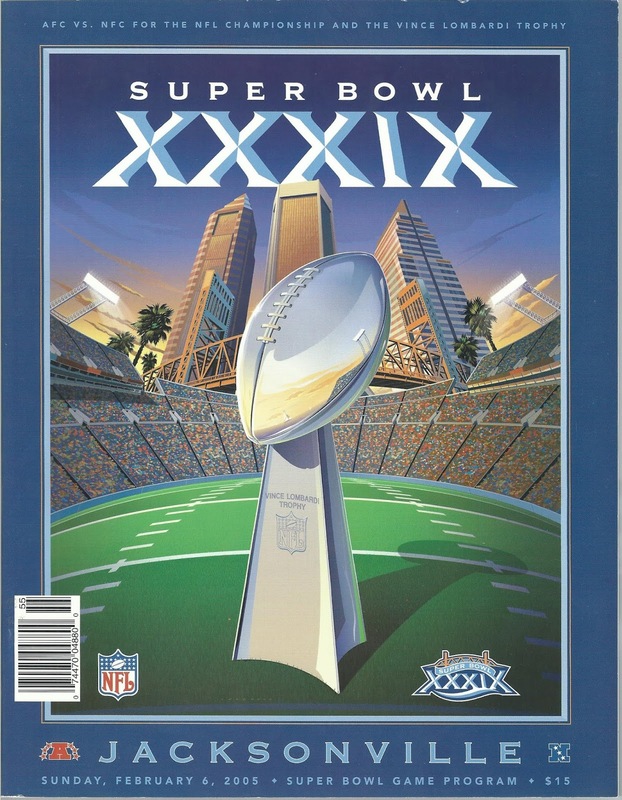 I like these early 90s art cards, especially ones with landmarks or arenas in the background. 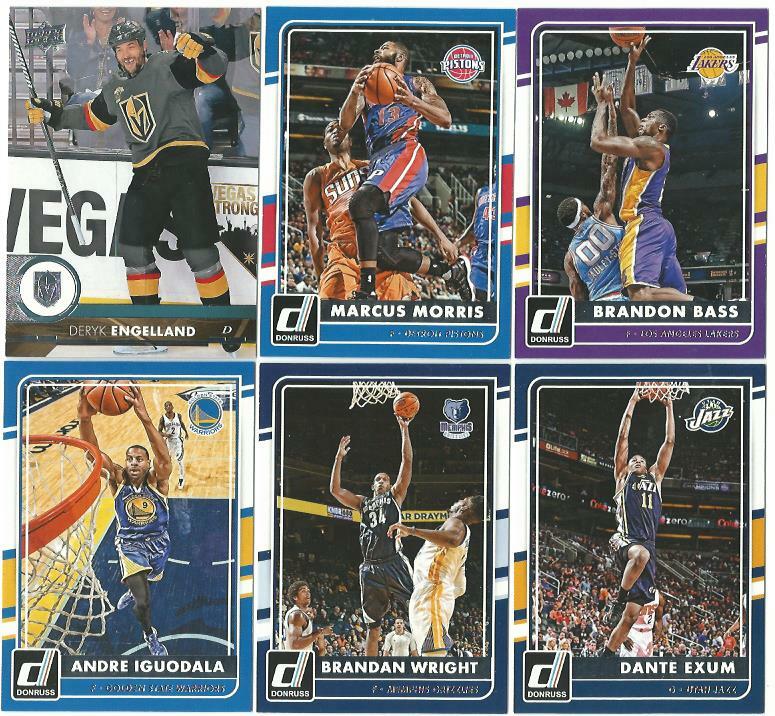 Some 2015-16 Donruss basketball, and my first Vegas Golden Knights card. Fitting that it would be the de facto captain and Las Vegas resident Deryk Engelland. I have a William Karlsson OPC Platinum rainbow card in my COMC inventory but that won't be here until December. So this is officially my first Knights card. Thank you Billy, these are very much appreciated! Enough about me....the next pick belongs to Matt K. of the time travelin' blog Diamond Jesters. Matt, you're on the clock! Here's a link to the prize post. 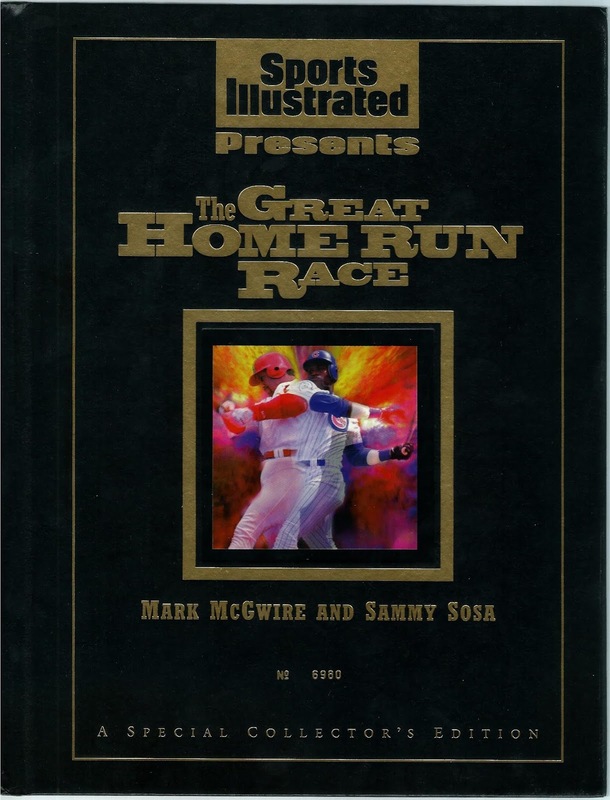 Jon grabs another vintage gem. Billy is up next. 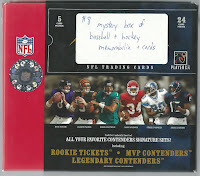 After a slow start the SCT Giveaway Draft is picking up steam. 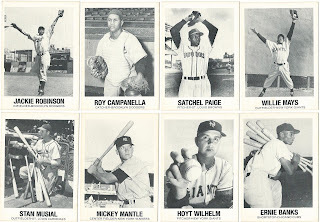 Three picks were made in a 12-hour span, and all of them were vintage baseball items. Billy is on the clock. 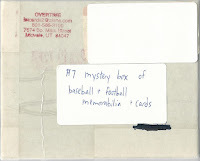 I have a feeling that the run on vintage baseball cards ends here. 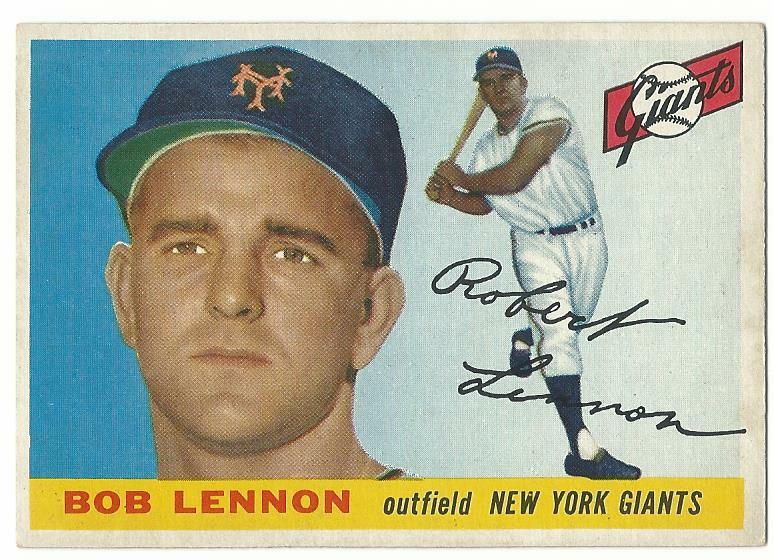 ..and it's a nice Bob Lennon card from 1955 Topps. Jon, it's your turn. Here's a complete list of prizes. Update: Fuji has selected the TCMA lot. The board is yours, Bo. Here's a link to the prize post. 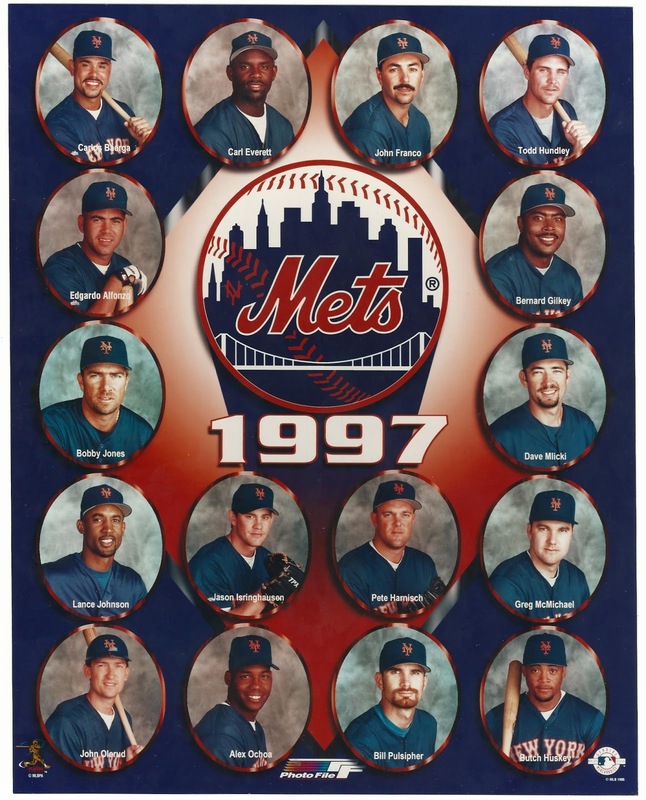 Congrats to the Baseball Hall of Fame Class of 2018. 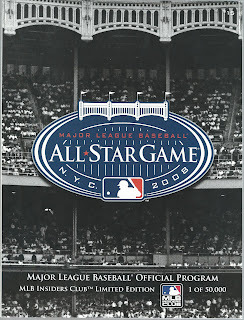 I'm always excited to see the induction ceremonies in July and the voting results in January. 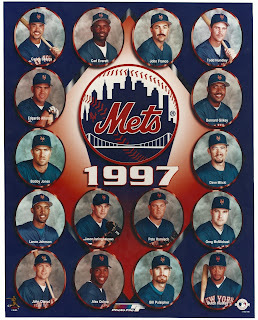 This is a huge class of HOFers. Should be fun. It's Draft Day! Sports Card Tour Prizes Are Here! Welcome to the Sports Card Tour Giveaway Draft! The points have been counted, the final standings have been posted, and the prizes are ready to be claimed. 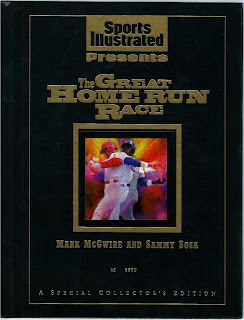 When it is your turn to pick a prize, please leave a comment with the prize number and/or description of your choice. You will have 24 hours to make your selection. If you do not pick a prize within 24 hours, the draft will move on to the next person on the list until you make a claim. You will receive these five books/magazines plus four more books/magazines. These are mixed singles from 1980-2018. Each box will contain over 3,000 cards. 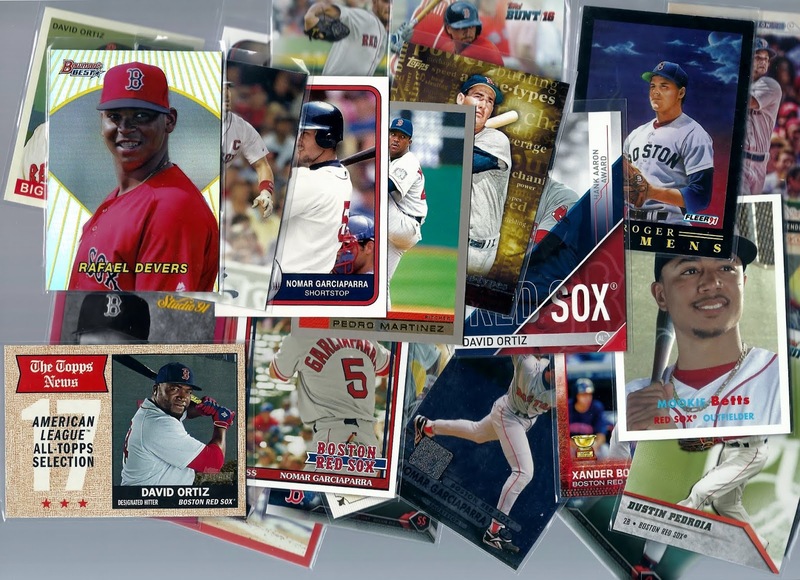 Mostly base commons with a bunch of stars, some inserts, oddballs, and other goodies mixed in. Mixed hockey singles from the early 1990s to 2016 or so. 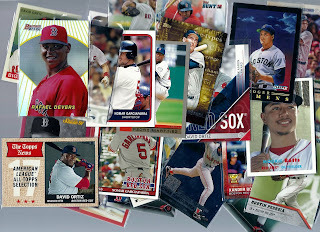 Mostly base commons with a bunch of stars, some inserts, and other goodies mixed in. 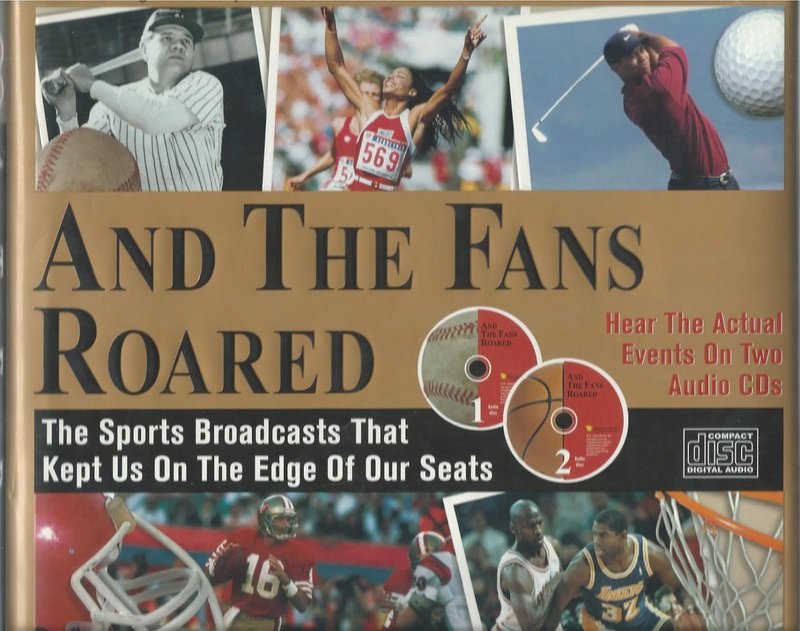 Some other sports will be included as well, but the box will be about 80% hockey. Also includes a McFarlane football figure and a box of about 300 football cards. Includes 3 McFarlane figures, a sealed can of Pinnacle Inside, and other goodies. Who doesn't like a little mystery box? 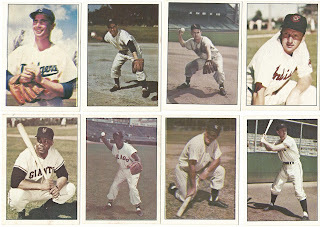 All of my Red Sox dupes. Over 400 cards. 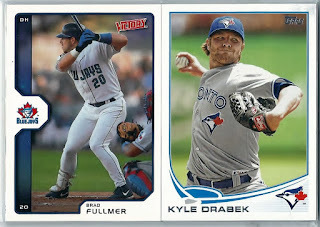 Some nice inserts/parallels. Go Sox! Some stars included, plus a few cards from other basketball sets such as 2015-16 Donruss. 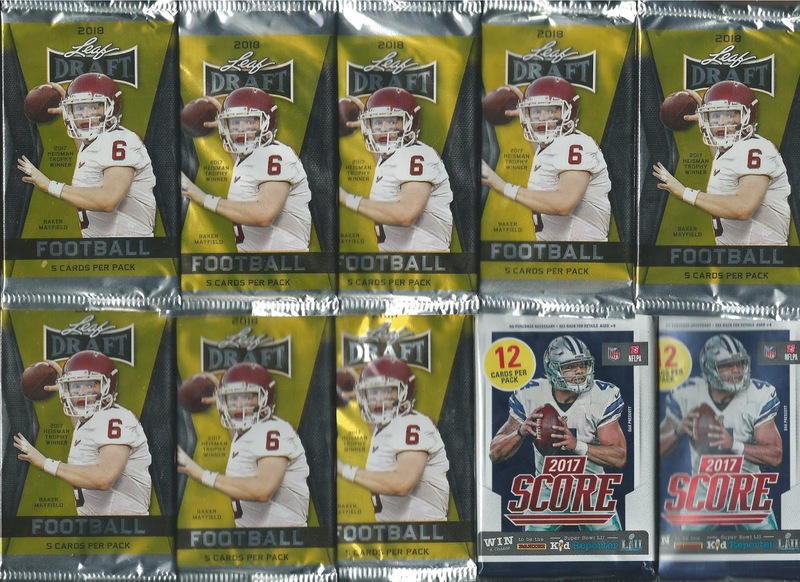 8 packs of 2018 Leaf Draft and 2 packs of 2017 Score. 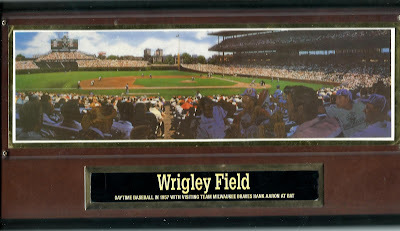 Nice photo of the Friendly Confines. 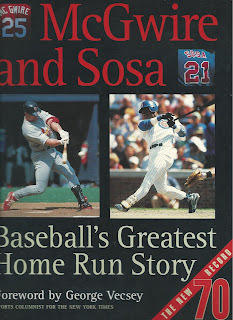 Featuring Hank Aaron. Mike York auto includes a COA. 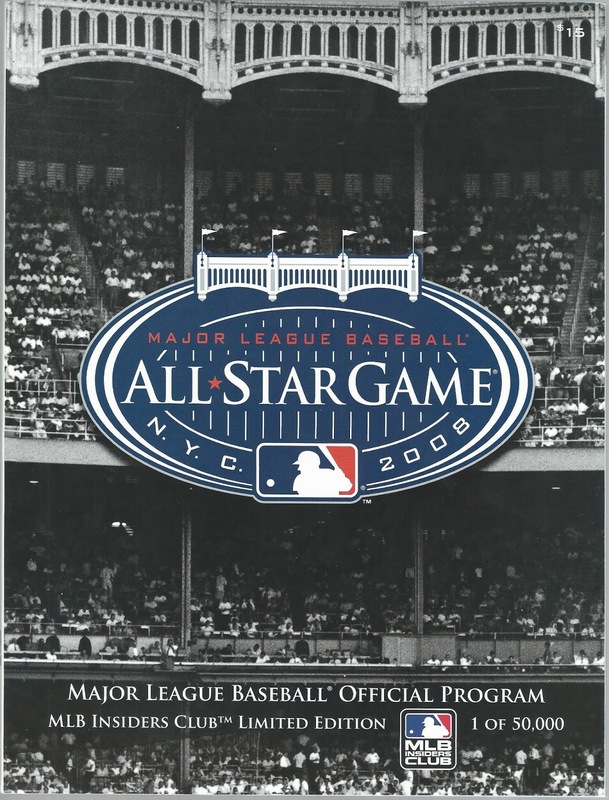 Some other NY sports items will be included. Both albums are brand new and include a sheet of stickers. 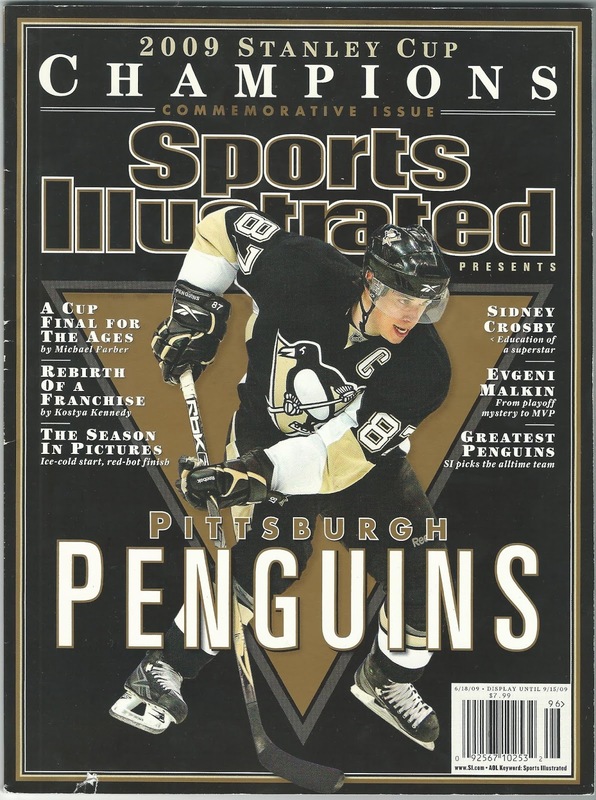 Also included in this lot is a Sports Illustrated back issue featuring a Stanley Cup winner. Ad panel features one future Hall of Famer. Team emblem will be a surprise to you. Don't let the lousy pictures fool you. 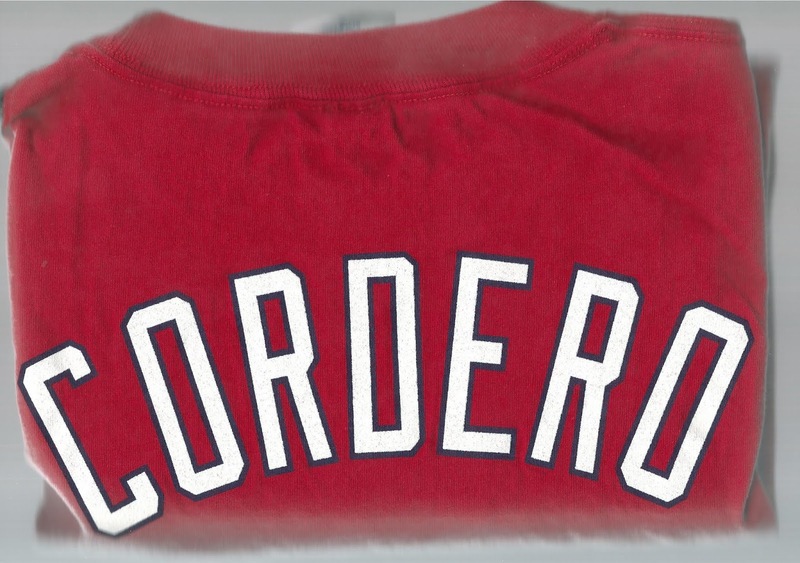 This Chad Cordero T-shirt is in great condition - I only wore it once. A mystery item will be wrapped inside. Mostly 1989 Bowman, but a few Topps Big Baseball cards mixed in. Lots of Hall of Famers here. Condition varies. 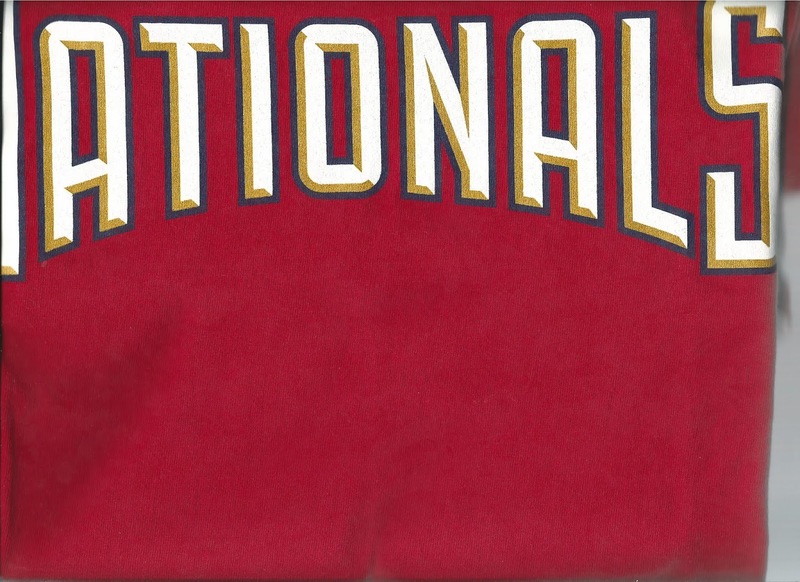 American-based baseball teams also available. This can be claimed multiple times. At least two cards from every city on our tour. 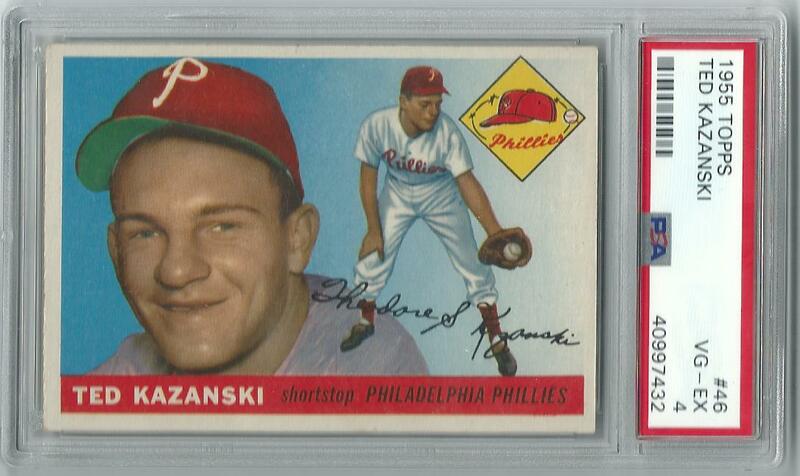 At least one card from every pro sports team. 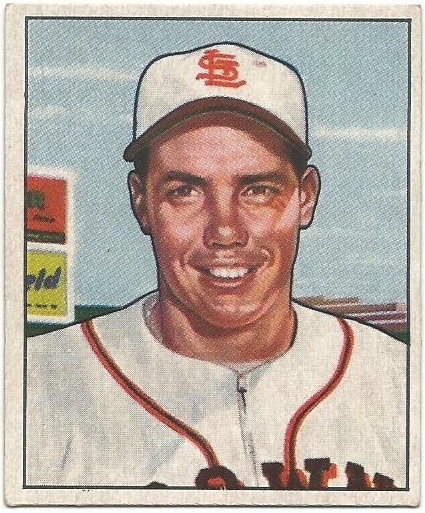 At least 200 cards total. Sweet looking card numbered 11/20. 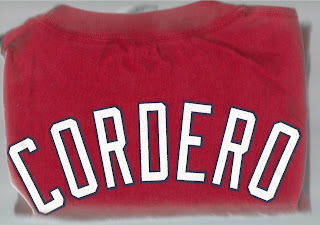 COMC watermark not included. So let's get started. 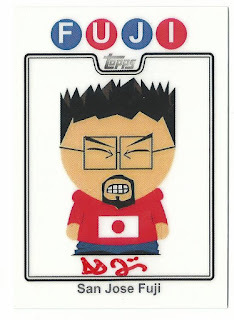 The first pick in the Sports Card Tour Giveaway Draft belongs to...The Chronicles of Fuji. Fuji, you're on the clock! After 53 posts covering over 120 pro sports teams in 51 North American cities over a five and half month span, The Collector's Sports Card Tour comes to a close with our last stop. Bobby Hull sent shockwaves through the hockey world when he signed with the WHA's Winnipeg Jets in 1972. (I don't have any WHA-era Jets cards.) The move paid off for both parties. Winnipeg was the strongest team in the rival league, reaching the Final in five of the WHA's seven seasons. 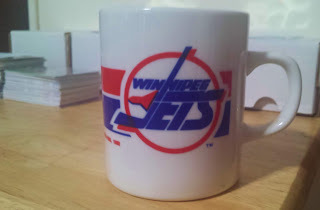 The Jets won the Avco Trophy in 1976, 1978, and 1979. 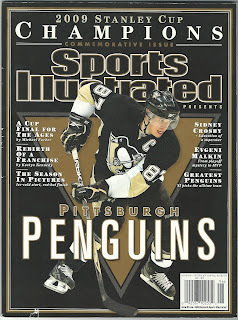 As a result, they were one of four franchises admitted into the NHL during the merger. 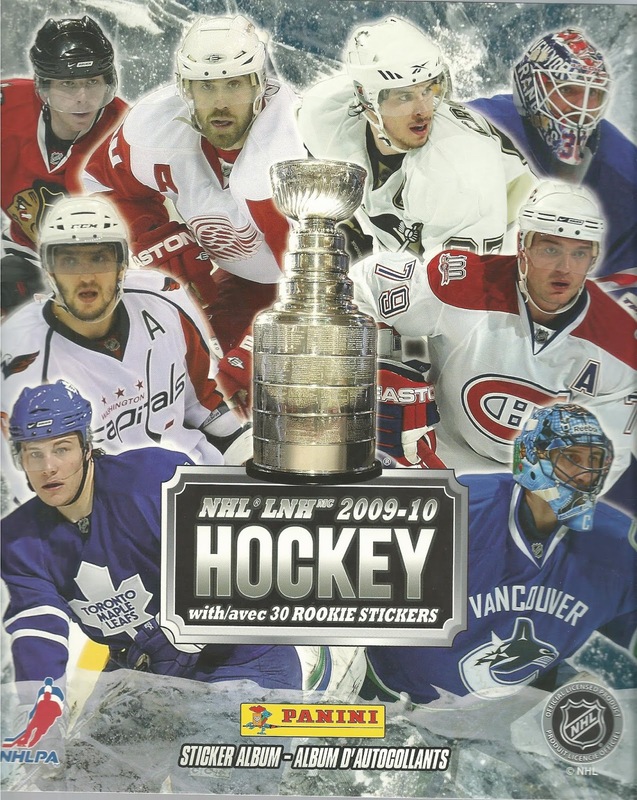 In the NHL, Winnipeg made the playoffs in seven straight seasons but never advanced past the second round, losing to powerhouse teams in Edmonton and Calgary each year from 1983 to 1988. Dale Hawerchuk was the first overall pick in the 1981 draft and the NHL's rookie of the year in 1982. 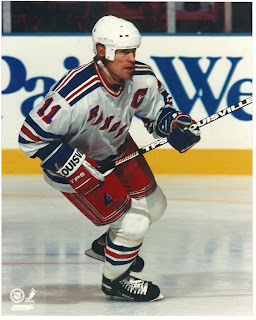 Unfortunately his Hall of Fame career was overshadowed by playing at the same time as Wayne Gretzky. 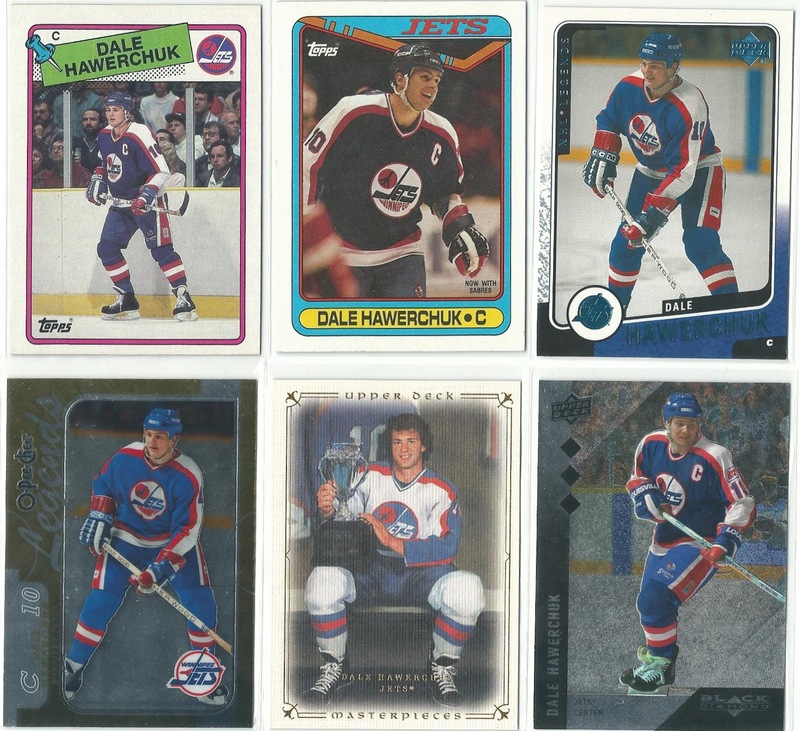 I only have one Hawerchuk card from the '80s (not counting my 1984-85 OPC set build) ...if I was still listing "Cards I'd Like To Own" at the end of these posts I'd consider adding his rookie card. 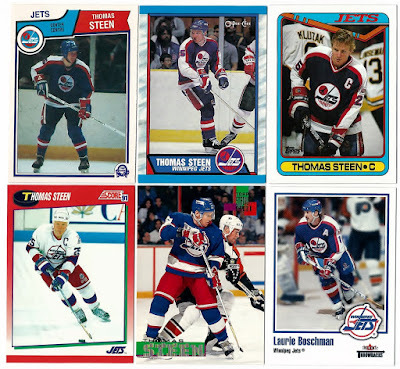 Thomas Steen continued the Jets' tradition of Swedish stars, following WHA greats Ulf Nilsson and Anders Hedberg. The two-way centre played his entire career with the Jets; his number #25 was retired by the team. His son Alex plays for the St. Louis Blues. 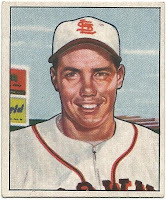 I had to check the Trading Card Database to see if the '83-84 O-Pee-Che Steen single was his rookie card. It's not. Also, I only had five Steen cards so I added Laurie Boschman to fill the space. 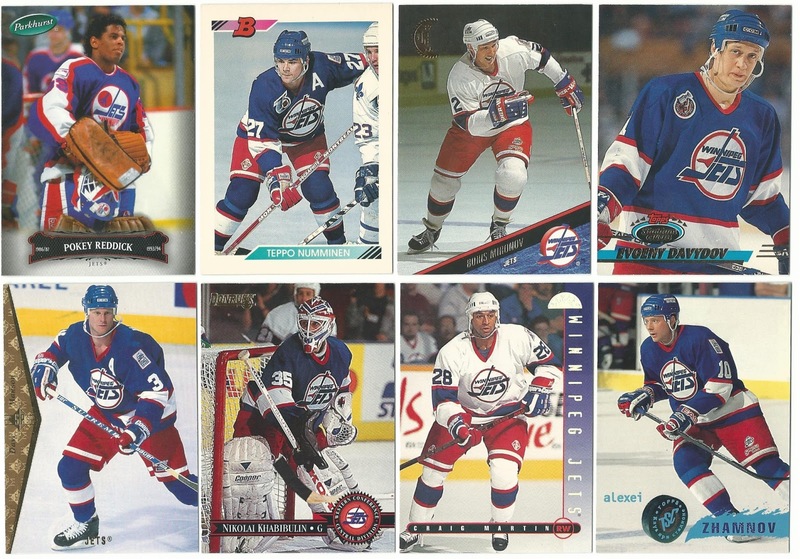 Winnipeg was strong up the middle with Hawerchuk, Steen, and Boschman in the mid '80s. 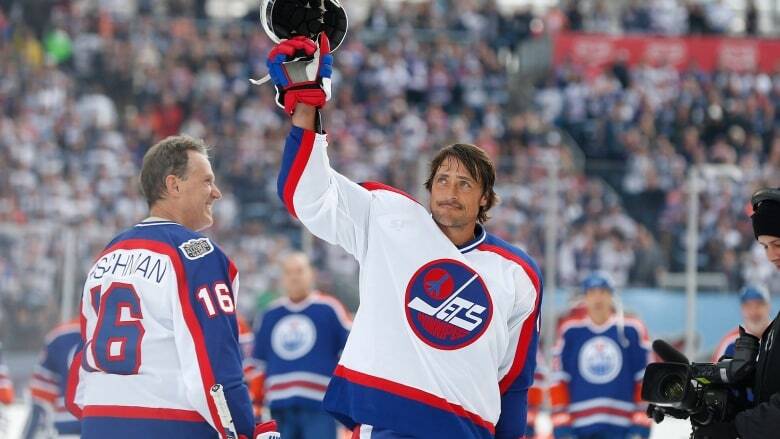 Hall of Fame sniper Teemu Selanne was the Jets' first-round pick in 1988. 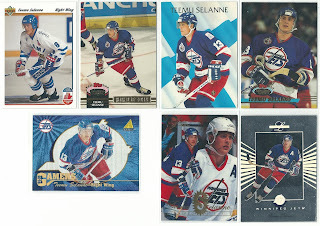 Selanne stayed in his native Finland for four years, representing his country in the 1992 Olympics. 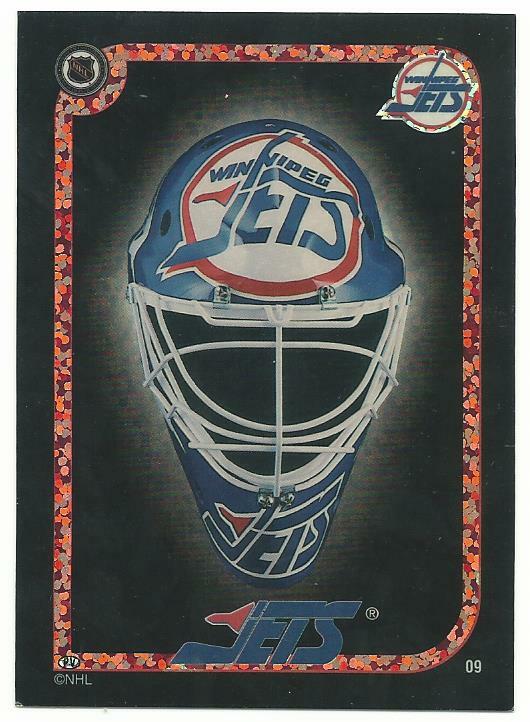 No one could have predicted the impact he'd have upon joining the Jets for the 1992-93 season. 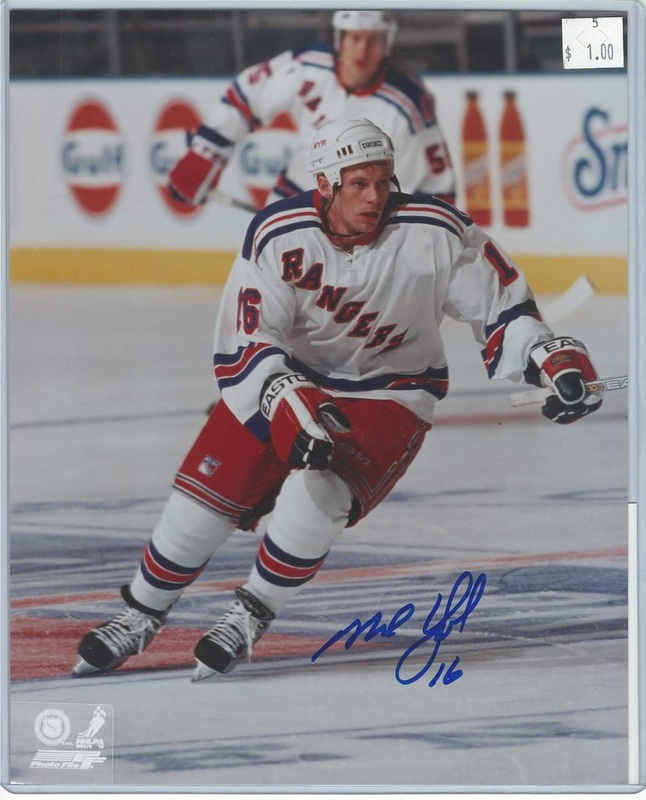 The "Finnish Flash" scored an astounding 76 goals as a rookie. 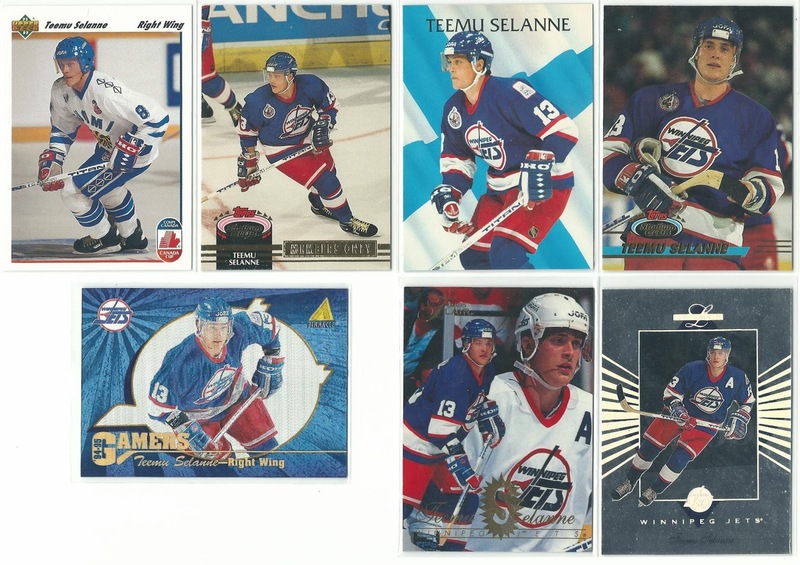 Selanne's 1992-93 season was the best of his Hall of Fame career, and the best rookie season ever. 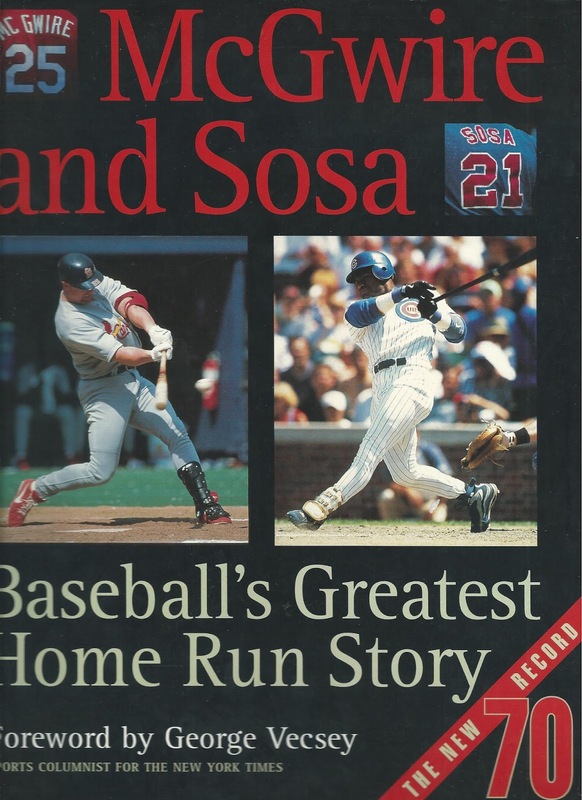 I'd put it right up there with Aaron Judge across all sports. I think Teemu's Upper Deck RC was listed in Beckett for at least $15 at one point. 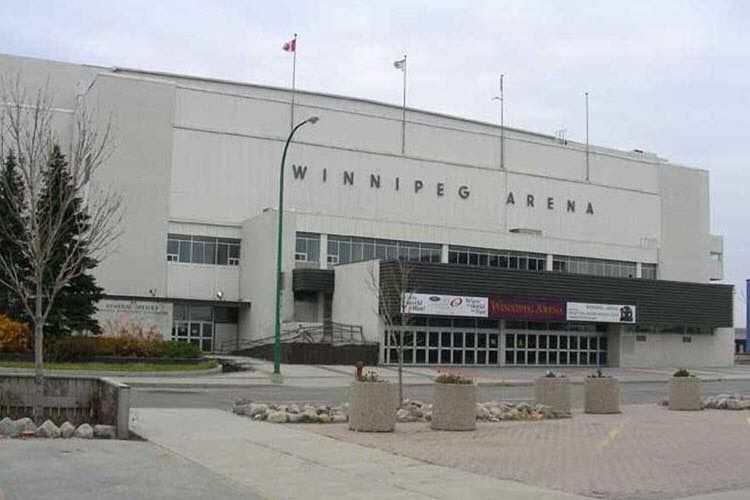 Winnipeg Arena was an aging old barn in a small market, and the Jets were no longer viable due in large part to a weak Canadian dollar. (I think the CAD was valued as low as 65 cents USD.) 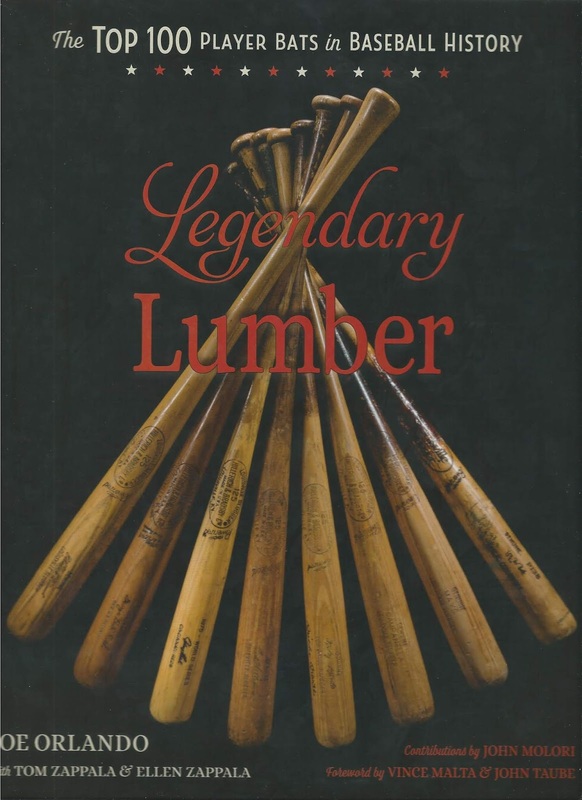 No amount of fan support could hide the fact that Canadian teams were bleeding cash in the '90s because they were taking in Canadian dollars and paying out US dollars. 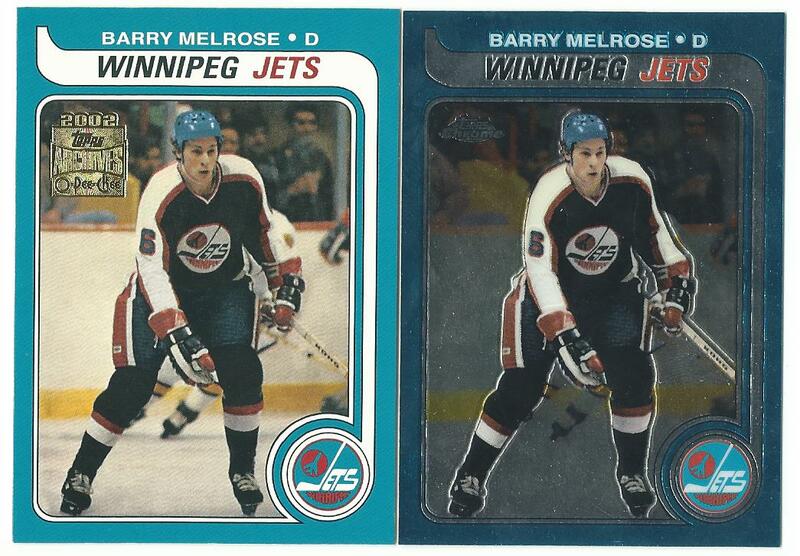 Their last game at Winnipeg Arena was a first-round loss to the Detroit Red Wings. I watched that game and really hoped the Jets could keep it going just a little longer. 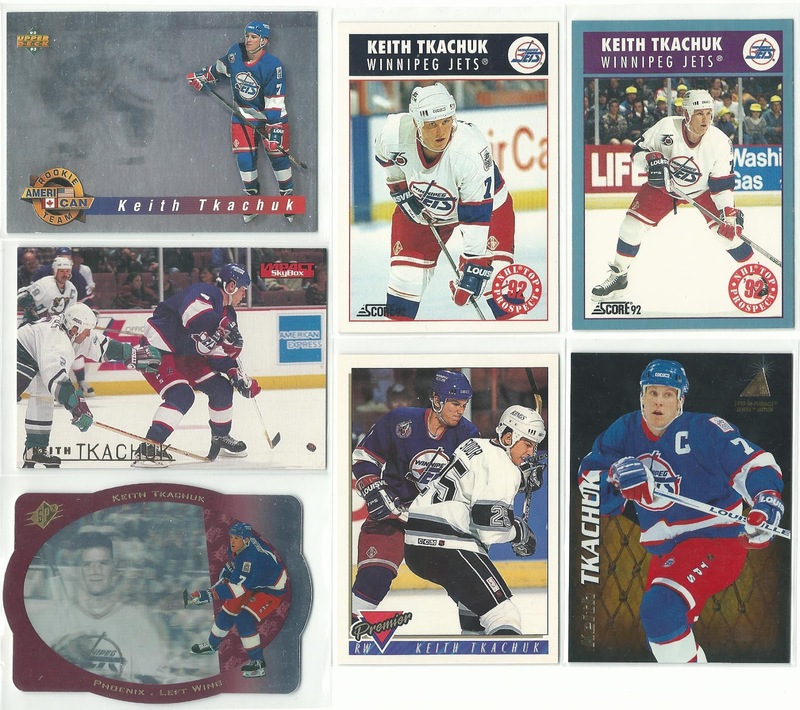 Keith Tkachuk was the Jets' first-round pick in 1990. 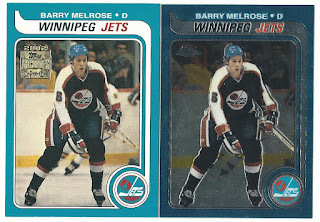 He registered his first 50-goal season in the Jets' final season and was team captain for their final game. The US Hockey Hall of Famer and his Arizona-born sons Matthew and Brady were all drafted by Canadian clubs. When I first started Sports Card Tour I had the idea of selecting nine of my favorite base commons and adding a "cross-section" binder page of each team. 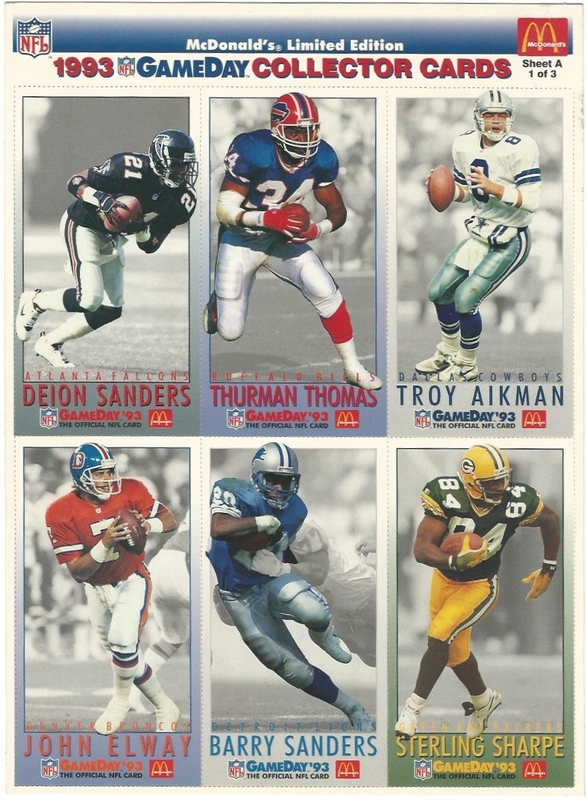 I soon discovered that would eat up a lot of space, so I cut it down to these 4x2 scans and only used them for certain teams - usually when I didn't have a lot of other items to share. I try to abide by the rule about scanning the back of 1993-94 Leaf cards.. but I scanned the front because half the foil is missing, creating a 'crescent moon' effect. 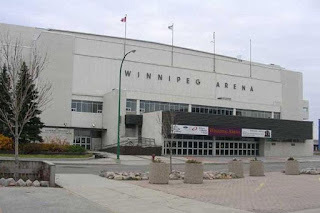 As the NHL headed for a lockout in 2004 the old Winnipeg Arena was replaced with MTS Centre. The capacity was built to accommodate their AHL team, the Manitoba Moose. 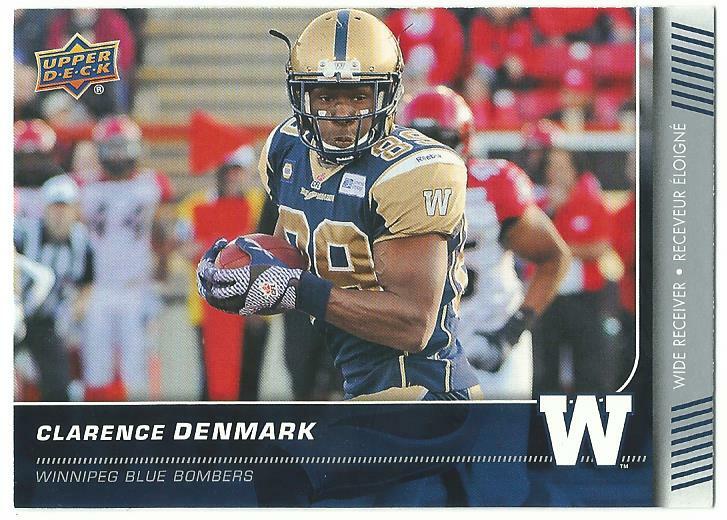 (Thought I had some Moose cards but I can't find any in my binder.) The new arena was thought to be too small for an NHL team - and few believed a team would return to Winnipeg. In 2011 the Atlanta Thrashers flew north to Winnipeg and were re-christened the Jets. 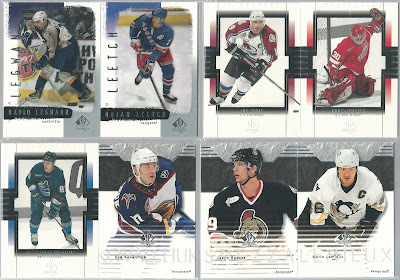 Upper Deck's 2011-12 Series 1 set pictured veteran players in Atlanta uniforms; rookie Mark Scheifele was the first draft pick of the new Jets - and the first player pictured in the new uniform. 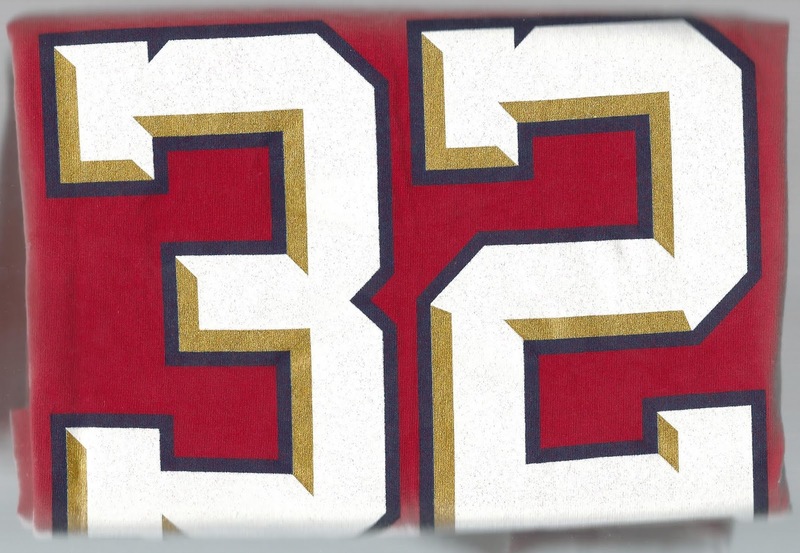 Winnipeggers had been trolling fans of the Coyotes, Panthers, Thrashers, and other US-based teams for years. Many Jets fans blamed NHL commissioner Gary Bettman for the loss of the original Jets but I've never seen anyone give him credit for facilitating-if not expediting-the return of the Jets or making no attempt to keep the Thrashers in Atlanta. The whole thing left a sour taste in my mouth and I haven't been able to root for the new Jets as a result. I don't like franchise free agency in general...that said, there's no denying how popular the Jets are in Winnipeg and across Canada. I'd say they're second only to the Leafs at the moment. 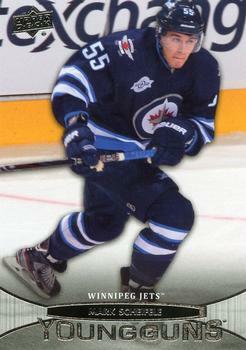 Andrew Ladd was the Thrashers' last captain and the Jets' first captain. 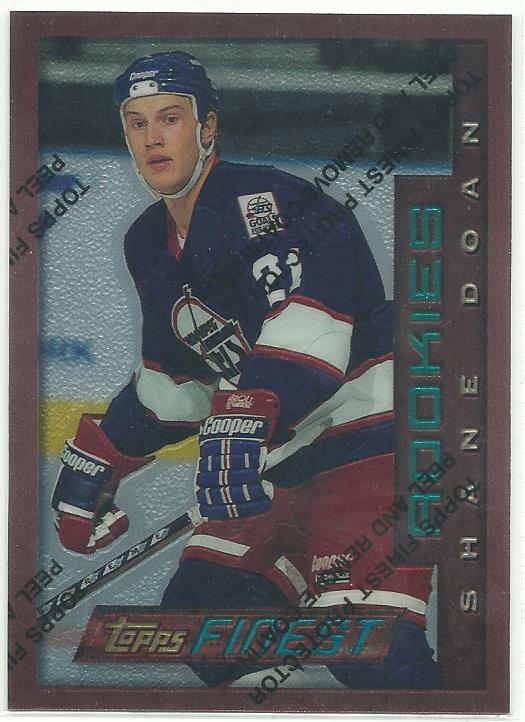 As a rookie with the Hurricanes, Ladd injured Oilers goalie Dwayne Roloson in Game 1 of the Stanley Cup Final. As a result, the Oilers were the only team in my lifetime to use their backup and third-string goalies in the Final. They lost in seven games. I'm getting off-topic here. 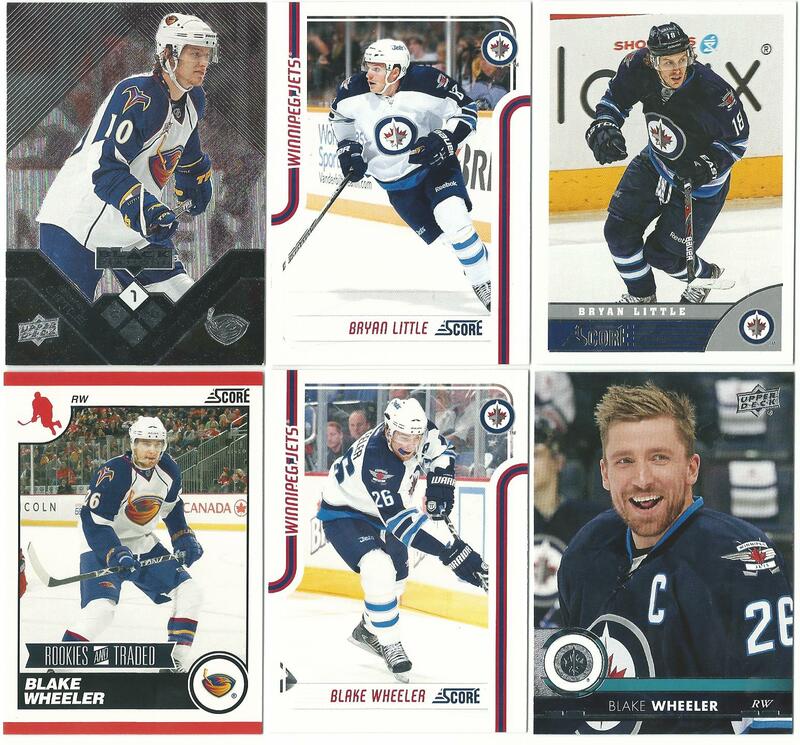 In case you were wondering, only three Thrashers remain on the current Jets roster: Bryan Little, Blake Wheeler, and Dustin Byfuglien. (I doubt you were wondering, I'm the only one that cares about such things.) 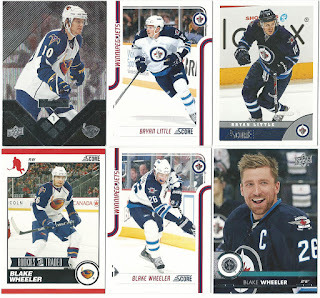 It's kind of poetic that Wheeler is the Jets' current captain; he was drafted by the Coyotes but wouldn't play for them. 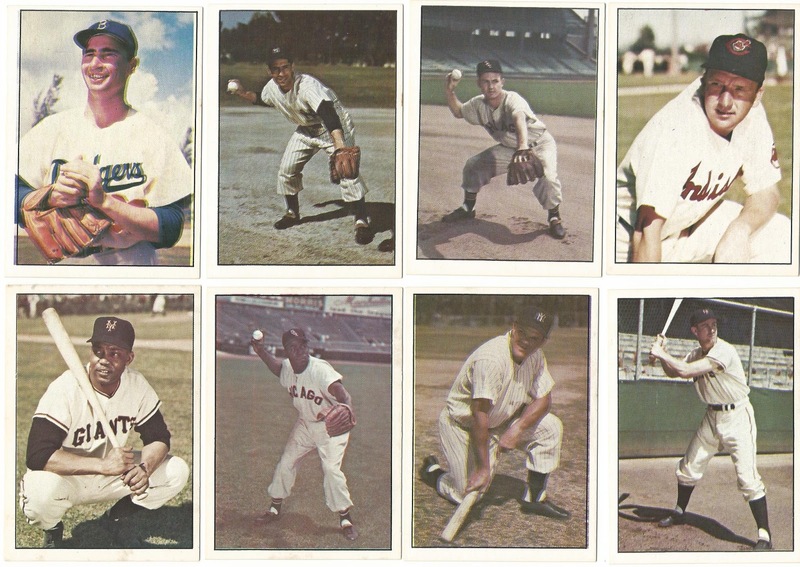 Would you consider any of these guys hobby stars? 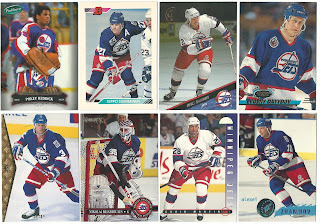 I only have original Jets in my star player box (Hawerchuk, Tkachuk, Selanne) and I'm having trouble deciding if I should promote Blake or Big Buff. The Exquisite base card cost just 45 cents on COMC due to one little surface impression that actually blends in quite well. 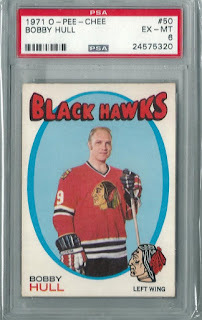 I wasn't going to buy it but the price kept dropping and I have about a third of the 30-card base set. The cards are as thick as ten cards from 2013-14 Score...a set which accounts for nearly one-third of my new Jets. 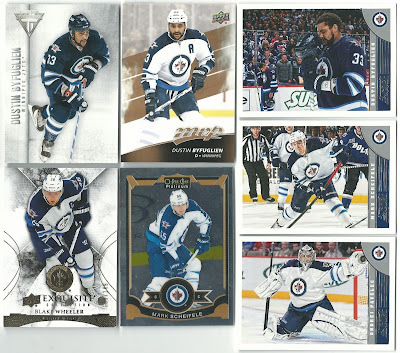 I've bought a few Jets cards on COMC over the past 16 months. 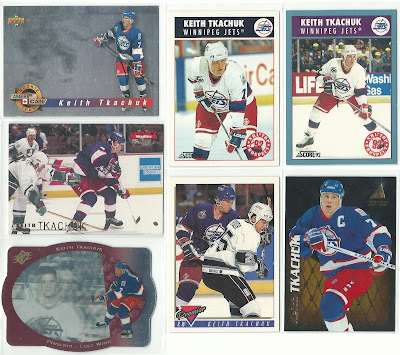 These were cheap ePack cards - I actually traded for the Scheifele on site, so it only cost a quarter for shipping. This pair of Patrik Laine O-Pee-Chee cards have the same photo and nearly the same price tag (the base RC was $0.71, retro was $0.75.) 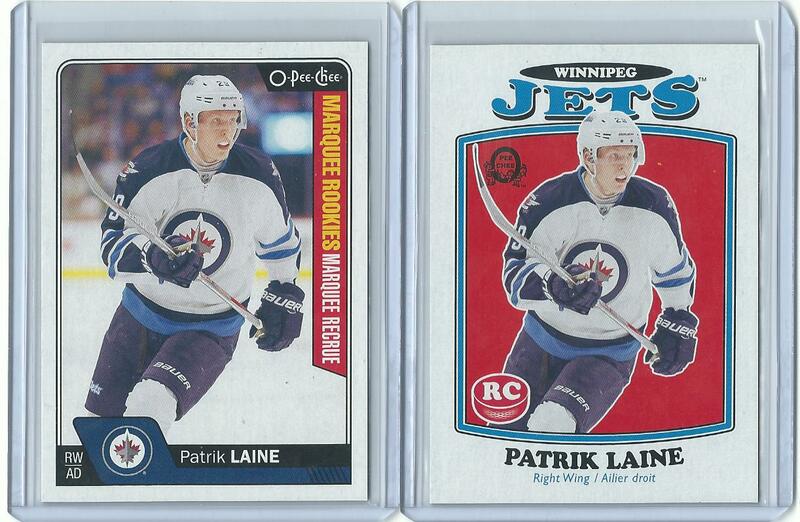 Winnipeg won the lottery in 2016, allowing the Jets to draft Laine second overall. Finnish Flash 2.0 (nickname patent pending) finnish-ed second in the NHL with 44 goals this past season. 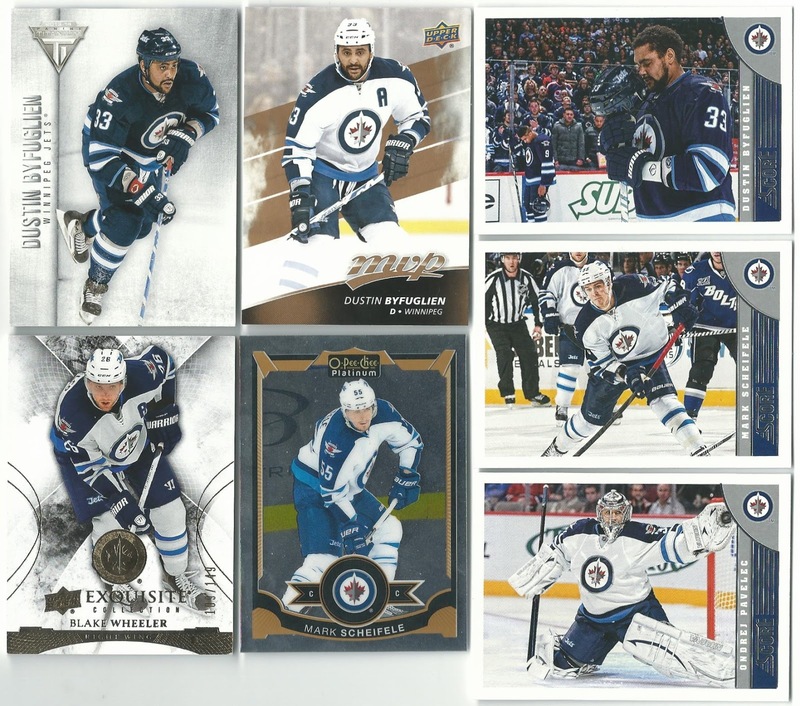 Some pack-pulled Jets, including the only Young Guns RC I pulled in 2017-18. 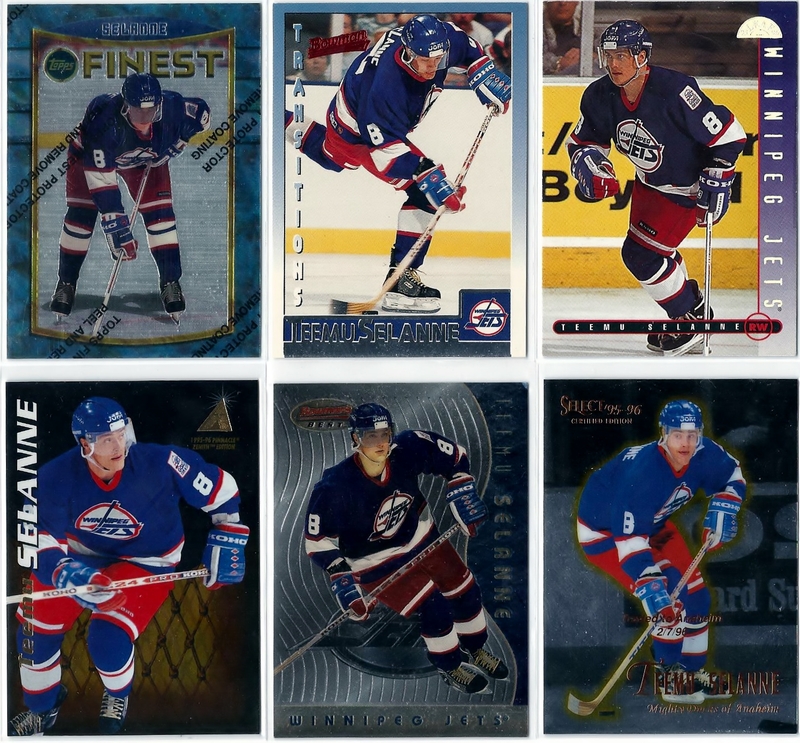 Jack Roslovic is one of 11 Americans currently on their roster - the most of any NHL team. 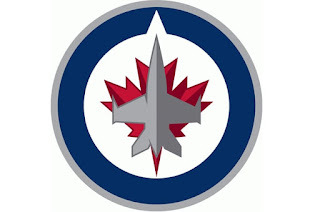 The Jets advanced to the Western Conference Final in 2018, for the first time in their history. 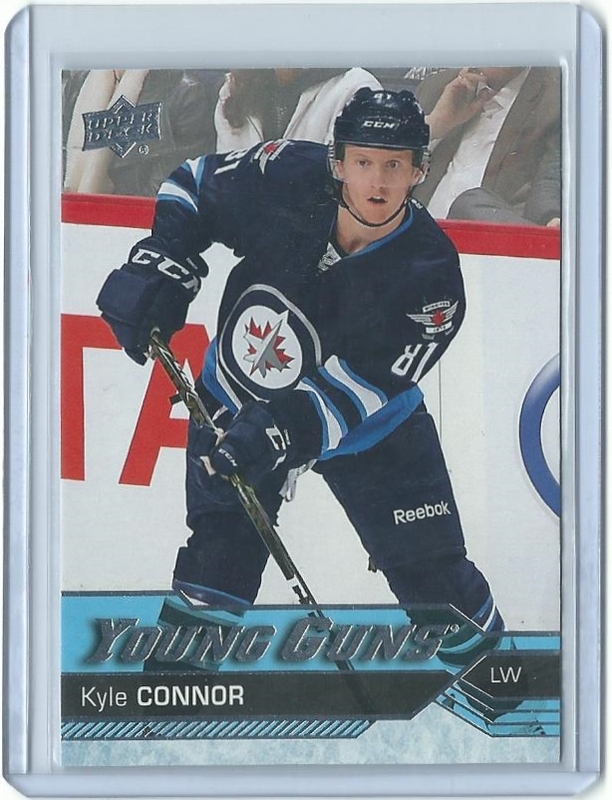 I bought this Kyle Connor Young Guns RC on COMC after they beat the Golden Knights in Game 1. It must have jinxed the Jets because they didn't win again. You're welcome, Knights fans. No more tour stops. 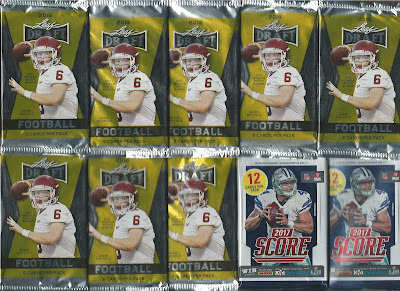 The Sports Card Tour Giveaway Draft is next. Final standings and prizes will be revealed this weekend. 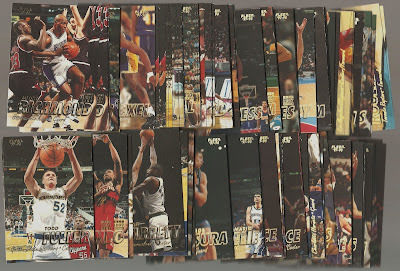 I hope you have enjoyed reading these Sports Card Tour posts as much as I've enjoyed writing them. Your comments and feedback on this project have truly been appreciated. I'm thrilled to hear that some of you have learned a few facts from reading these, as I was initially worried that I'd be telling you things you already know. My original narrative idea was to write these posts as if I were writing a book for my mother. 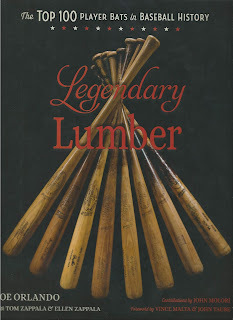 I might still put these posts together in a book, though I doubt she'll want to read over 500 pages of this! Some of these posts were quite long, and some of the things I tried didn't work. And I probably got a few facts wrong (#fakenews) but I did my best to express my opinions of each team and city without being too biased one way or the other. Even when readers might have an unfavorable opinion of teams like the OKC Thunder (stop moving franchises, dammit!) I tried to imagine a fan of that team or city would read each post. I've also had to fight a few battles with my lousy internet connection, which actually caused me to have a panic attack somewhere between Oakland and Pittsburgh. 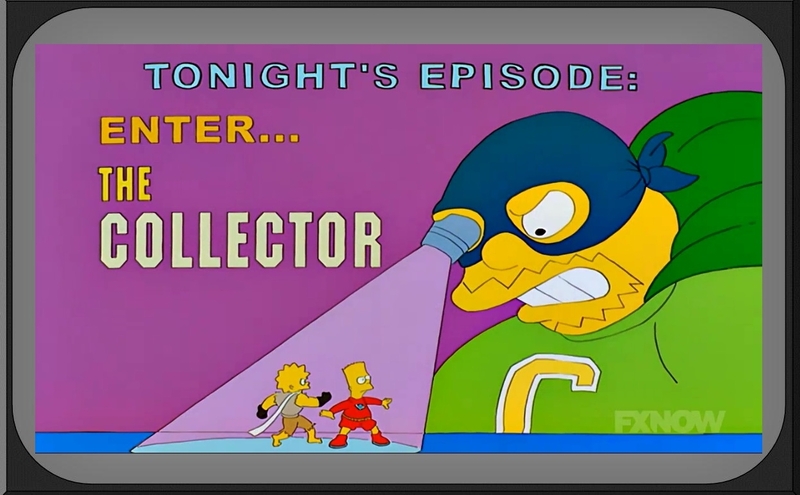 I'm looking forward to a month's worth of "Blogger X has the next pick" posts in August. It will give me time to relax, get some household chores done, clean up my card collection..and return the favor for all of your comments. 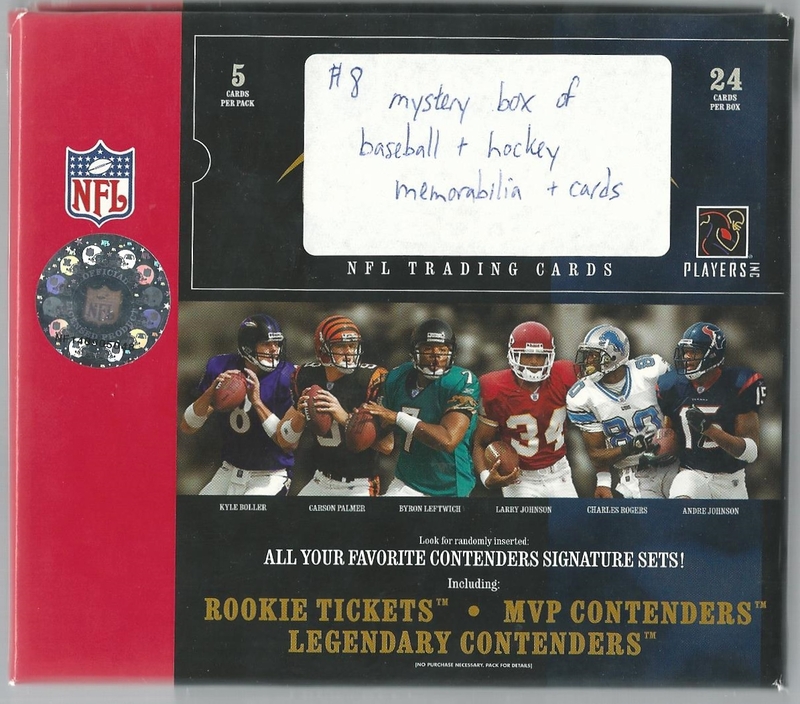 With that, let the Sports Card Tour Giveaway Draft begin! Thanks for reading everyone. Have a great weekend! 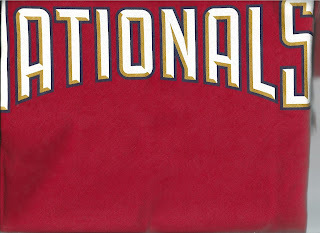 Sports Card Tour 2018 - Washington D.C.